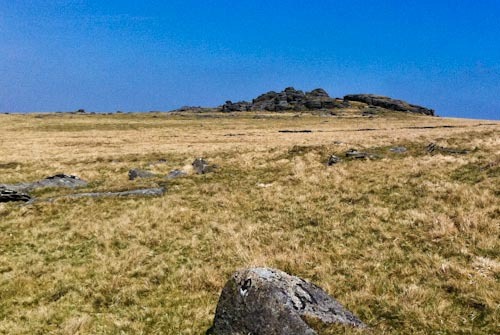 Out training with National Trust Wild Tribe – our own 10 Tors team has been amazing – the Dartmoor weather has been unprecedented! The visual highlight for me was definitely seeing the sunset and then rise at Scorhill. 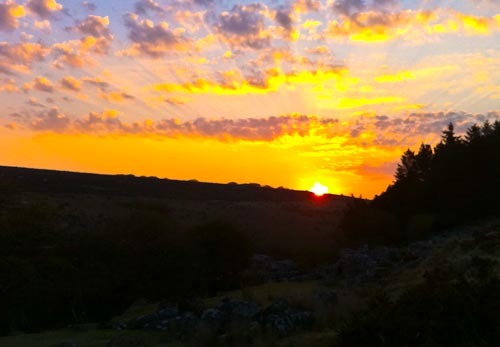 Here is the sun rising over Scorhill Tor. 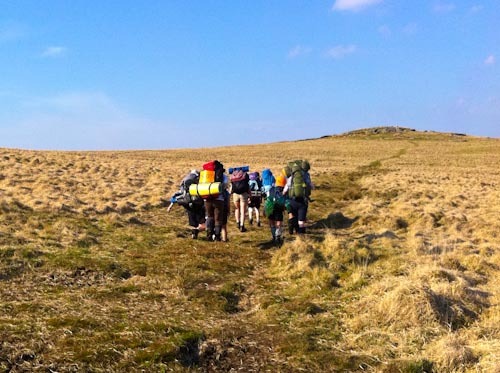 The expedition started at Princetown and Wild Tribe headed off to Great Mis Tor, Beardown Tor, Sittaford Tor and then wild camped on Scorhill Down. 24km in total – I check pointed them along the way and ended up walking 20km myself! 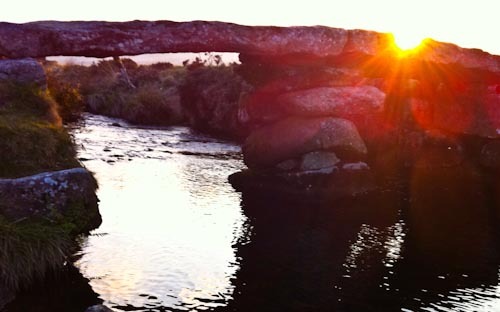 Day 2 the team went to Shilstone Tor, Hound Tor (the other Hound Tor), Oke Tor, High Willhays, into ‘death valley’ and up to Kitty Tor before finishing at Sourton Tor – another 20km. There was a lot of climbing and descending on day two and it was really hot. My ‘people’ highlight of the trip was seeing the team come in at Sourton – very tired but all smiling and filled with a real sense of acheivement. They now all know in their minds that they can now do the real 10 Tors in May. Here are a few other shots from the expedition. 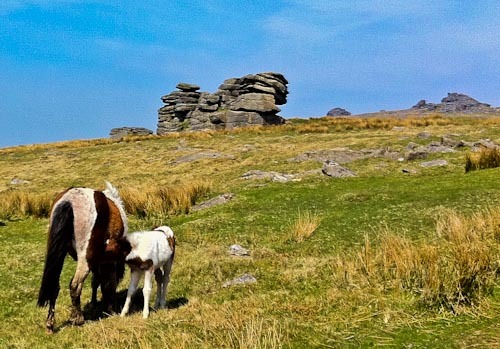 This entry was posted in Dartmoor 10 Tors and tagged 10 Tors, Spring, Walk, Wild Tribe. Bookmark the permalink.